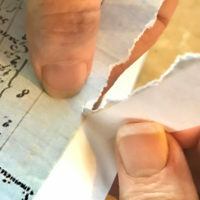 Hello, dear crafters – Heather from Thicketworks here with my favorite Ancient Parchment Technique. 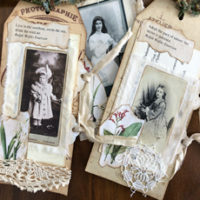 I love creating items that have an air of antiquity, and this simple method is one I turn to often. I like to use paper that’s been aged this way to create meaningful documents, fancy scrolls for special occasions, letters to be tucked into bottles, etc. 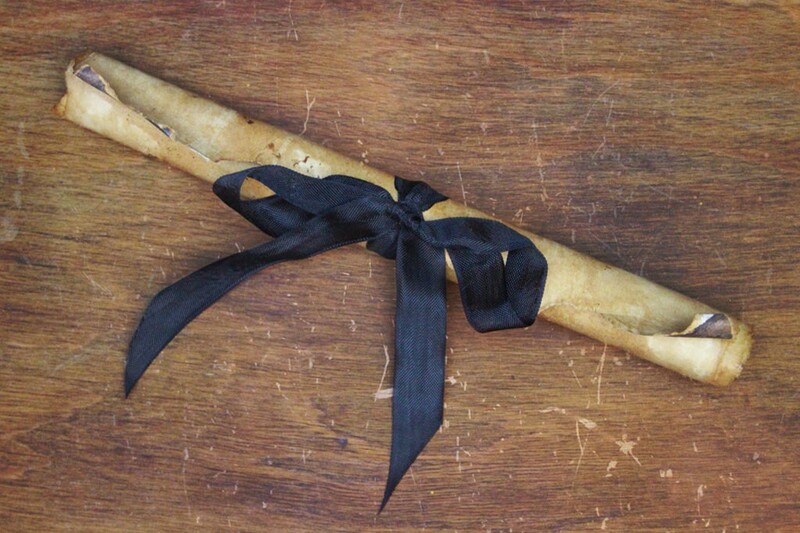 You can easily create your own “Ancient” Parchment, with just a few basic ingredients. 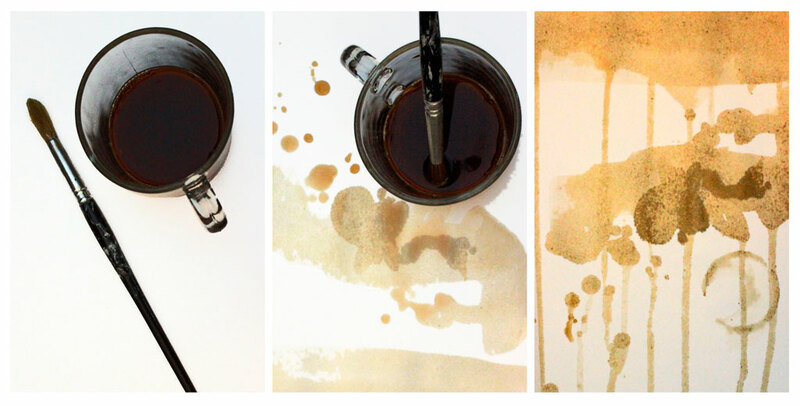 Set the base of your cup in the puddles, then tap the base of the cup gently onto the paper elsewhere, leaving a lovely circular stain or two. 8. Alternatively, be very deliberate with the application of color, concentrating on the areas you wish to age the most severely. 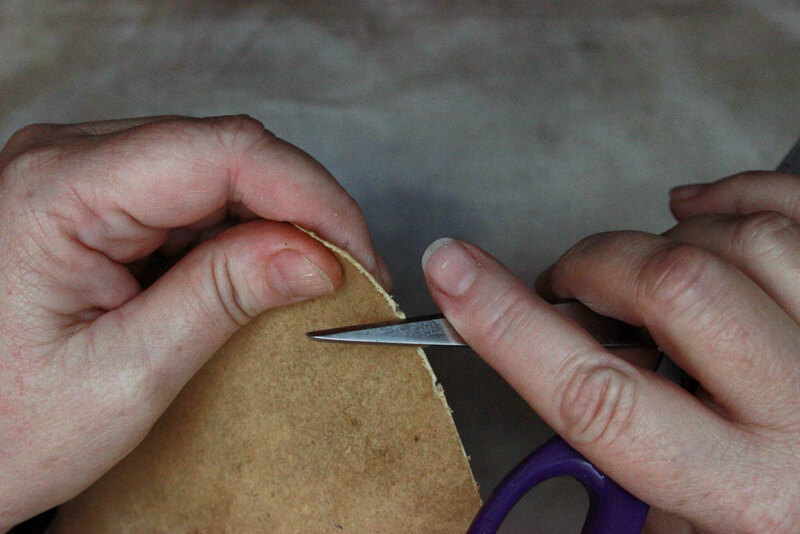 Or create similar effects by dragging one blade of a pair of scissors along the edge of the paper. 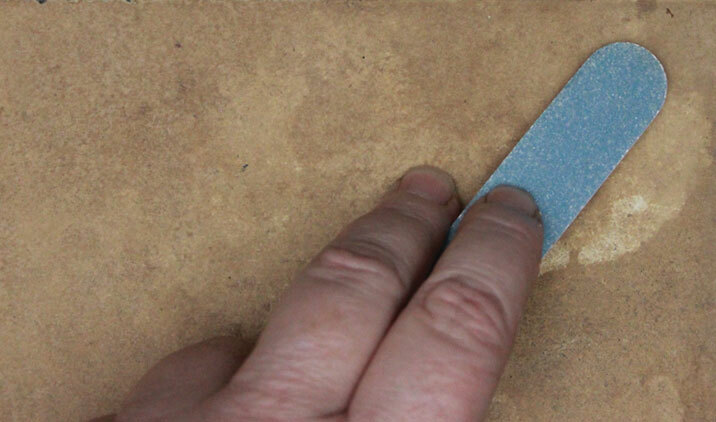 And also scruff both sides with sandpaper or a rough emery board. 10. 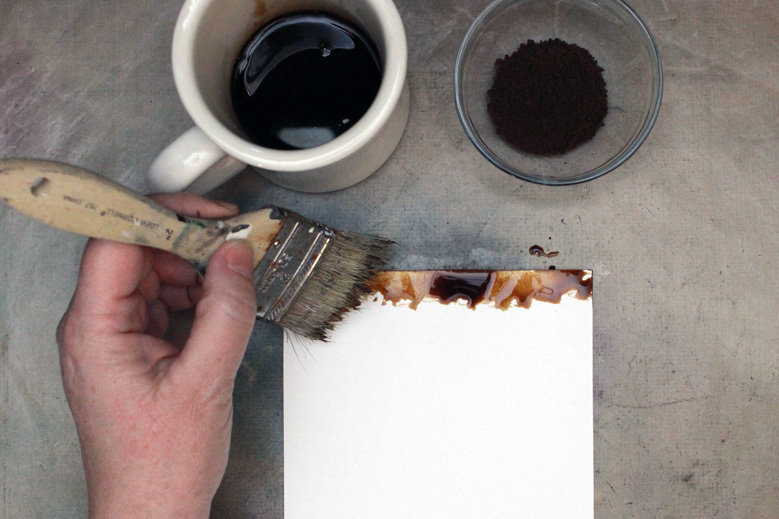 Once the paper has been distressed, selectively add additional coffee. The distressed edges and surface will absorb more pigment than the undamaged portions, resulting in an even more timeworn appearance. The basic idea is to create sheer layers of color, one atop the other, furthering the impression that this page has passed through eons of handling and wear. 12. 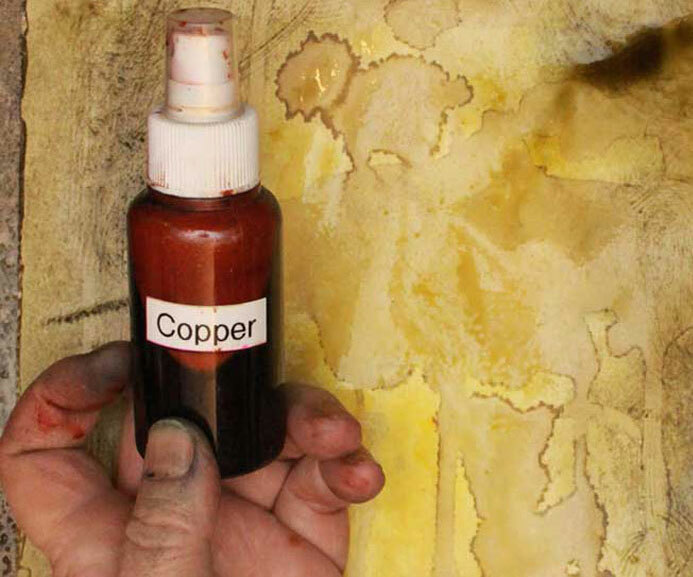 If you use spray inks, begin with a tint that will embed itself nicely into the scruffy marks on the surface, without staining the paper too intensely. Here, I’ve chosen a basic brown ink, which I mixed to a light, not deep, color. 13. While the surface is still wet, add a lighter color and allow the two to intermingle. 14. Finally, create some drama by adding small areas of richer color. Note: flip the paper over during each spray ink session, and mop up any over-spray by pressing the paper down into the puddles of ink. The goal is leave no white space at all, on both sides. 15. Allow to dry, or use your heat tool to speed the process. 16. 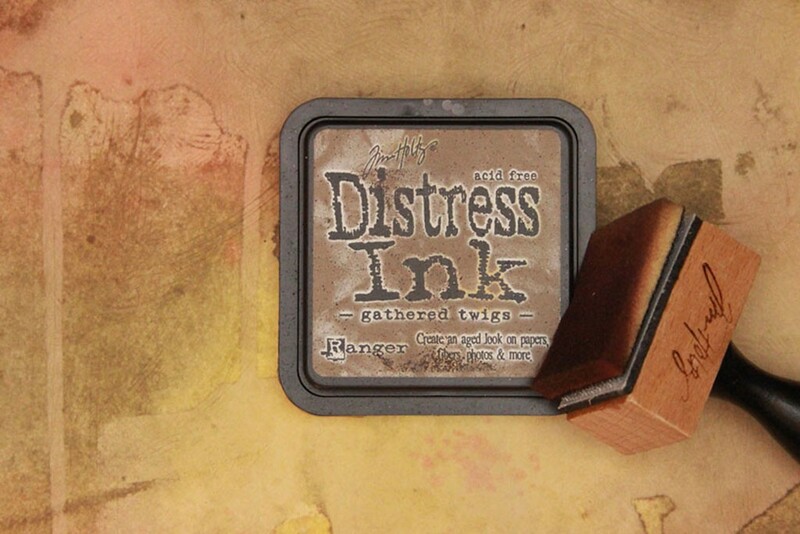 To finish the look, grab some Distress Ink and a foam applicator. I like Gathered Twigs – it’s a rich brown with green undertones. 17. Work the ink into the edges of the paper with a gentle swirling motion. 18. A wonderful thing about Distress Ink is that you can spray the surface of your work with water to diffuse the color and spread it around. When you’re happy with the result, allow to dry naturally, or use your heat tool. 19. 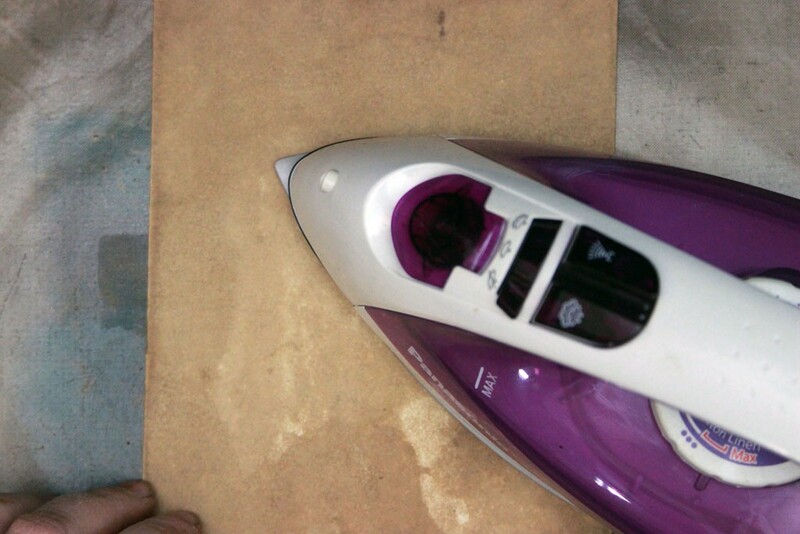 The paper may buckle during all this rough handling – you can always iron it flat, if desired. Ta da! 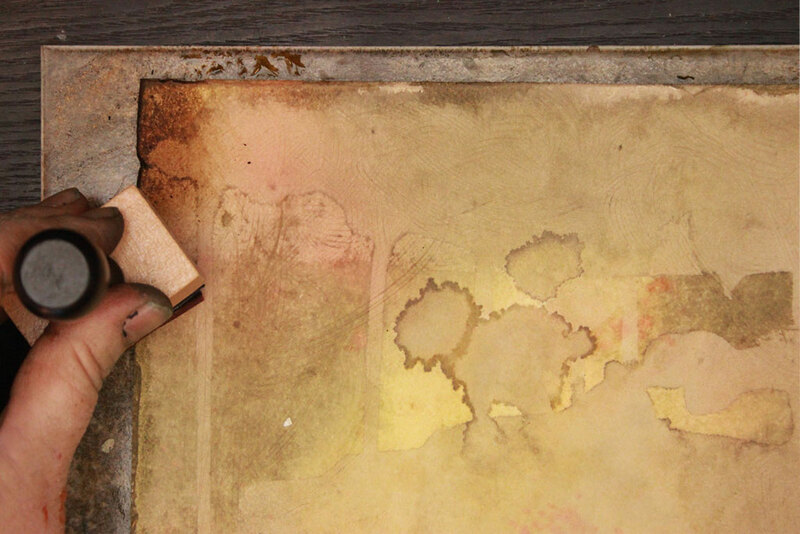 You’ve just added the awesome Ancient Parchment Technique to your creative arsenal! I like to scan my papers before the final embellishing stage, in order to play with the color tones for use in future projects. I thought you might like that, too. So, as a bonus, I’ve created full sized PDF files of these two pages. Feel free to download and print them out for your own projects! Thank you for joining me on this day of gratitude…I’m so grateful for the time we spend together! Drop by Thicketworks anytime you feel like getting messy – you’re always welcome there! « 15 Bicycle Clip Art Images! Thank you so much for the tutorial and the copies. I love aged paper. I have tried different ‘techniques’, as well, and each time I LOVE the end result. I make leather bracelets with hand-rolled beads for young men and inside the box I include an aged piece of torn-around-the-edges paper with the description of the bracelet. I think it adds charm and maybe authenticity. Thanks again! Hey Marilyn! Oooh, I want to see your bracelets! They sound AWESOME. There’s something about decrepit paper that just thrills me. I’m sure you’re hand-crafted descriptions add a whole layer of richness to what must be amazing objects. 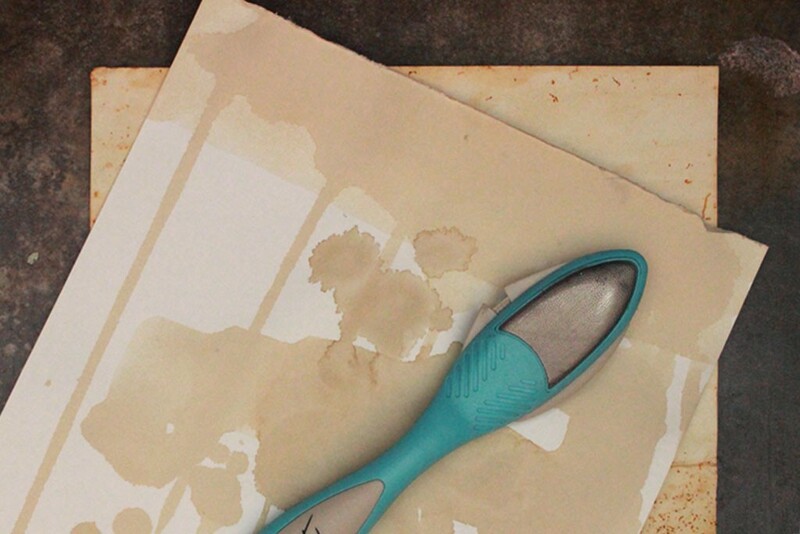 Thanks for sharing your love of aged paper – we’re a strange and wonderful tribe! Heather’s tutorials are just wonderful. Thanks for sharing. Teddee, you are the reason I LOVE what I do! Thank you so much for your kind words. 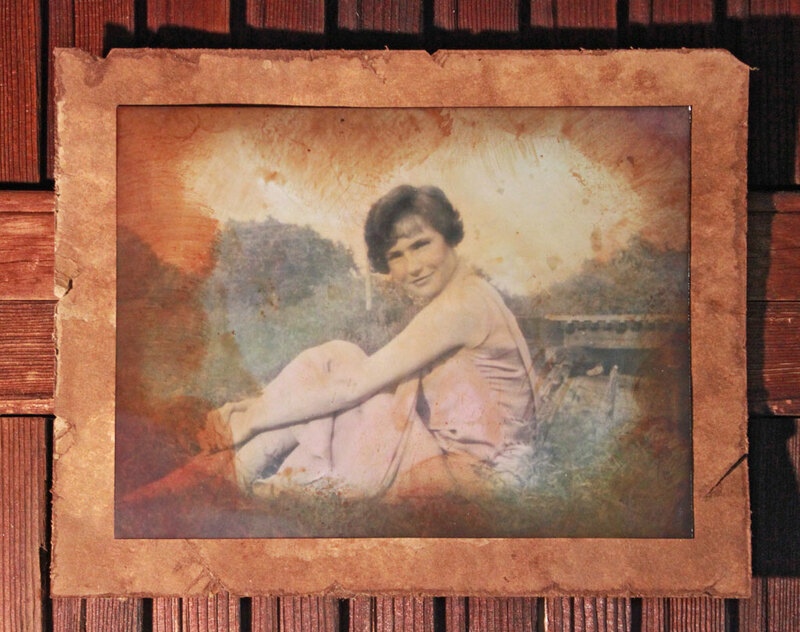 Karen has given me the loveliest gift by generously allowing me to connect with her amazing readers. Thanks for the great tutorial. I am learning so much from you. 🙂 Happy Thanksgiving! Thanks for the Download and the tutorial. I really enjoy your tutorials. Happy Thanksgiving! Happy Thanksgiving, Sasha! It’s great to see you here. Have fun with the download – I recommend printing it out and grunging it up even more! 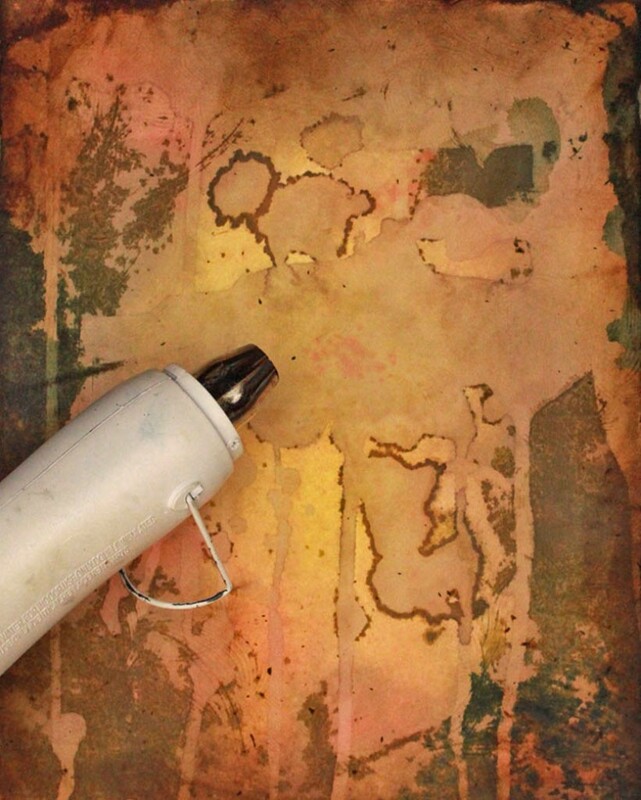 Wouldn’t this make a great wrapping paper for a present to someone who likes old distressed things?? Thanks for this introduction – it’s been a while since I’ve actually done work on paper – so glad you are keeping me up to date! 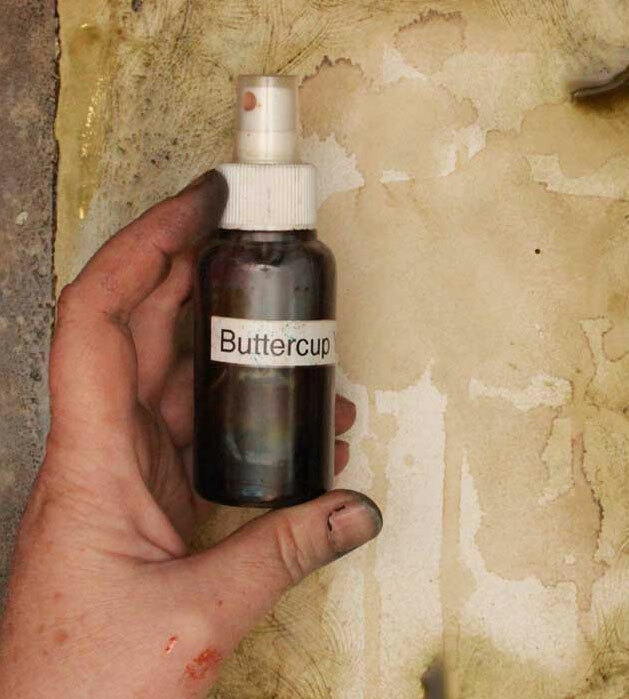 Have you ever tried to do this on chalk painted surfaces? 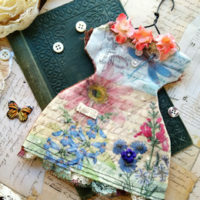 Or would you recommend treating tissue paper this way, and then decoupage for the object? I, personally would LOVE getting a gift wrapped in paper like this. If you add rubber stamped images, or calligraphy, it would be divine. It’s funny you should mention chalk painted surfaces, because I’ve been pondering this myself. My biggest concern would be longevity. Not sure how well the stain would last, unless coated by a heavy duty sealer. Hmmn…must return to the laboratory and conduct experiments! I like the idea of using tissue, but it would be tricky to distress it properly without disintegrating it. I’ll have to give this one some thought, as well! You always have such interesting comments, and I love that you prod me into thinking about new possibilities. Thank you! WOW! Love this! Thank you so much. 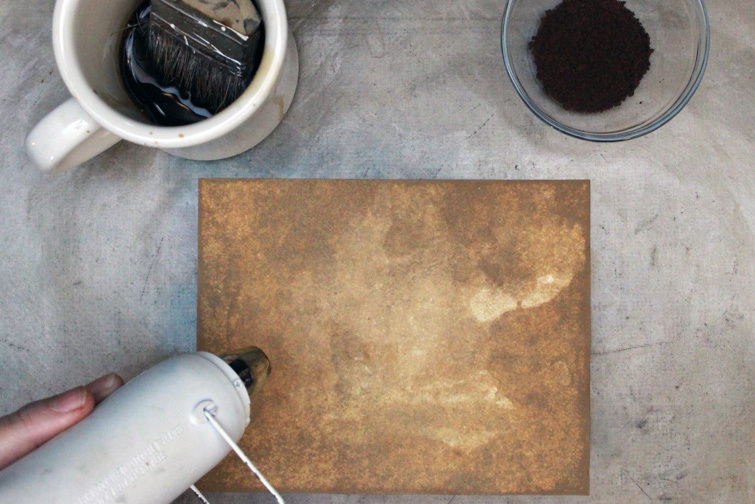 Finally a way to make paper look truly antique. YOU ROCK! Hey Joey! You’re gonna have so much fun with this one. As far as I’m concerned, you’re the one who ROCKS – thank you for taking time out of your day to leave such a fantastic comment! Thank you for sharing this tutorial. 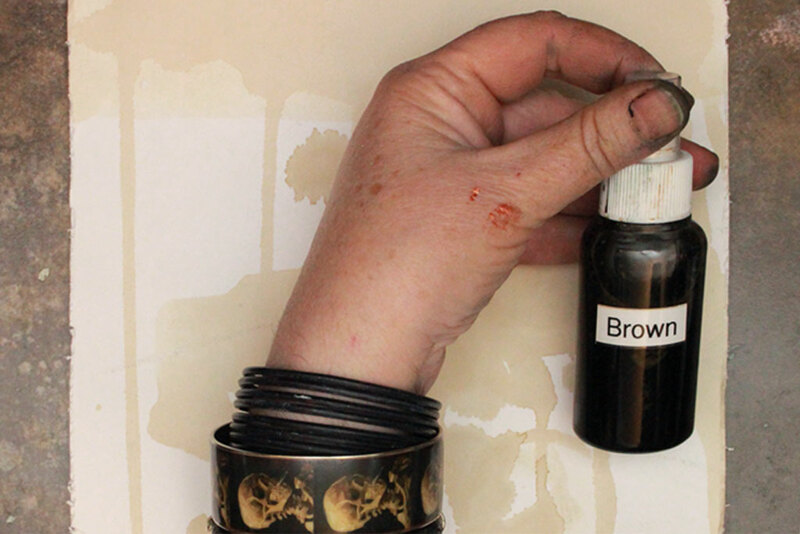 I tried to make my own spray ink using instant coffee, but I couldn’t get a deep enough color. Think I’ll try an expert’s way 🙂 great idea for scruffing the paper. I’d never think to use an emory board. Thanks also for the free download! Happy Thanksgiving! It’s Chris! Yay! Happy Thanksgiving, you rust junkie! 🙂 I love deep dark colors when distressing things, and boy, can you get instant coffee DARK! 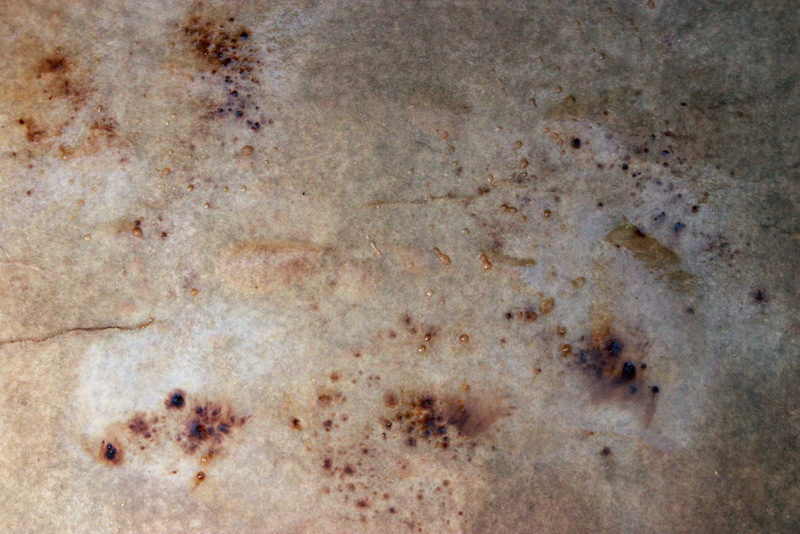 Plus, sprinkling the dry crystals on the wet surface gives you such gorgeous mottled effects. 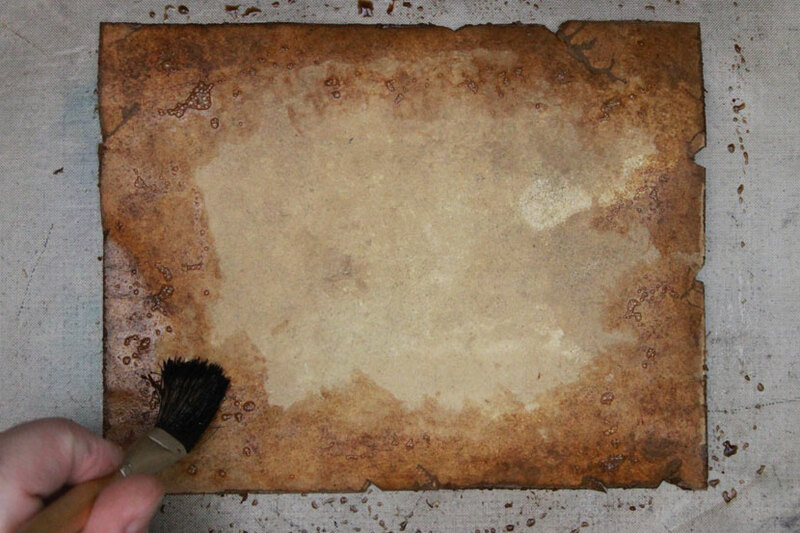 Yep, scuffing the surface makes the color sink in just a little bit deeper…now you know the SECRET! Thanks for the tutorial & the FREE copies! These will look awesome as a background for an old photo or my note cards. Hi June – It was a lot of fun to document this technique, so glad you liked it. Have fun with the ‘antique’ paper PDF’s – sounds like you have some great ideas for them! Thanks so much for great tutorial and wonderful aged papers. Am going to participate in making a junk journal this summer. Have never participated in anything before thinking I couldn’t do it but decided was time to try. Will be 78 this July and want to know I can make something different successfully, see it thru to the end. 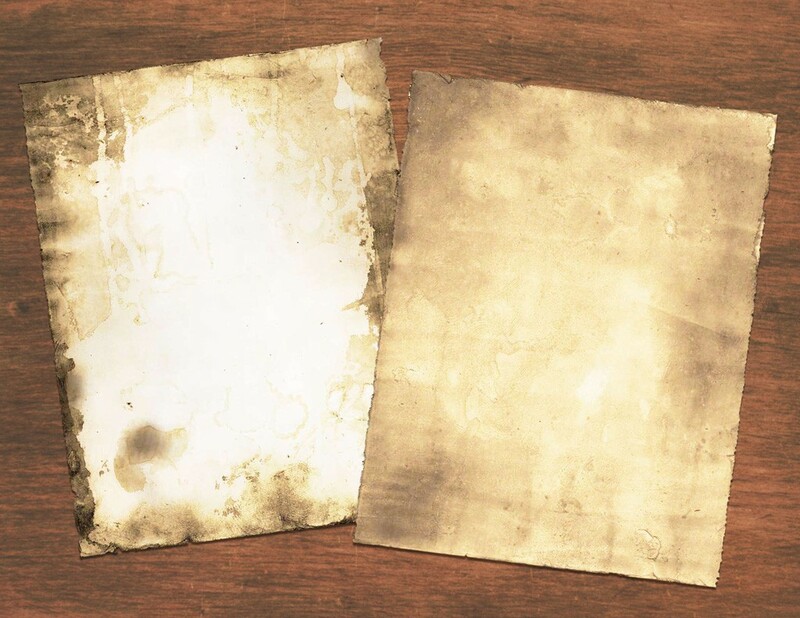 Have you ever found a way to age paper so its archival, safe to use in scrapbooking? Great tutorial I love the way the paper came out looks amazing.